Inventory management. A common question is "How do we label a pallet so that a forklift operator can spend the maximum amount of time moving pallets and not waste time entering and exiting the forklift?". The solution is as simple as installing a Panther P8-800 Series print and apply system. Many customers are storing their products on pallets in a warehouse. These pallets get stretch-filmed and are then received into inventory which requires a warehouse inventory label. In order to apply a label to these pallets, we use an applicator called a "Swing-Arm". 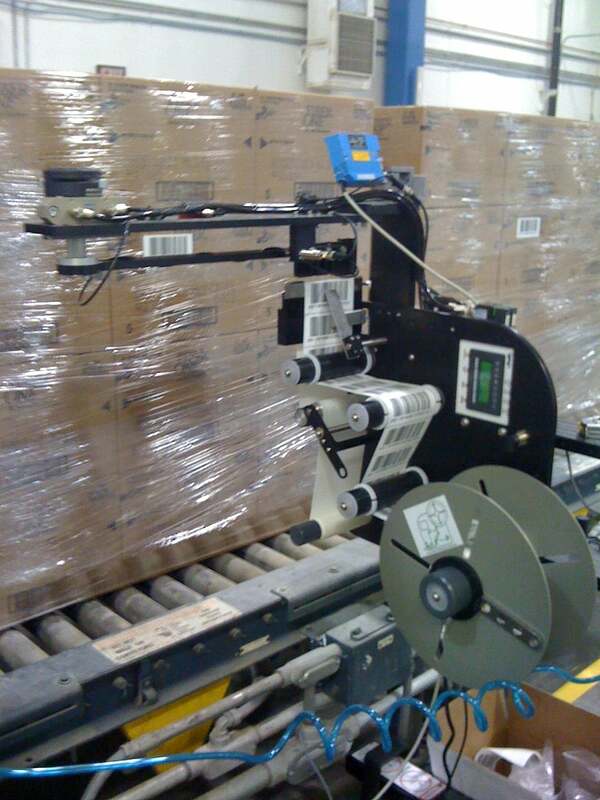 They are available in a variety of lengths in order to reach out over the conveyor and apply the label. In a many processing plants the customer is manufacturing bags of various items such as landscaping and construction materials (concrete mix, soil, fertilizer, mulch, etc. ), bulk food materials (rice, beans, pet food, etc.) that are loaded onto a pallet and then stretch-filmed. After they exit the stretch film machine they are driven to the end of a conveyor where a forklift operator is required to exit the forklift to hand apply a label and then re-enter the forklift to pick up the pallet and move it to the correct inventory location. These challenge are met by installing a Panther P8-800. 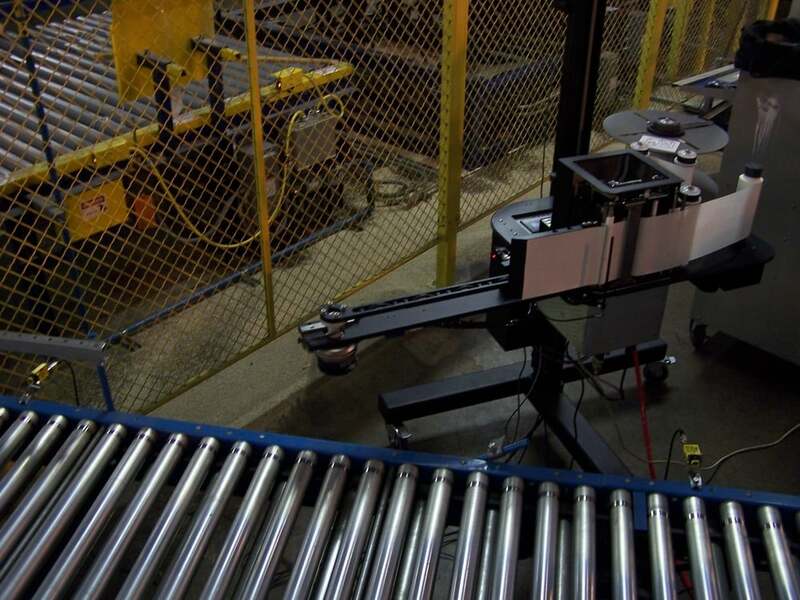 This unit is an automated print and apply system, typically ordered with an 18″ swing arm (other sizes also available), that allows the applicator to reach over the conveyor far enough to apply a label. This allows us to compensate for varying pallet positions and stay far enough from the pallet to avoid any product that may fall while also protecting the machine. The efficiency improvement from using the Panther P8-800 Series allows a single forklift operator to work with product from multiple lines. Thus, significantly increasing the number of products that can be put away in a given shift.